This is my resume for english lesson in 3rd semester, the chapter is about database. Database is any collection of data organized for storage in a computer memory and designed for easy access by authorized users. The function of database is organized for storage any collection of data. The kind of data form in database is the form of text, numbers, and encoded graphics. The required for home user to do online database is a computer terminal, a telephone, and a modem. Relational database is a type of database or database management system that stores information in tables-rows and columns of data-and conducts searches by using data in specified column of one table to find additional data in another table. Record is collections of information about separate of a items. Field is particular attributes of a record. database management system is a collection of programs that enables users to create and maintain a database. 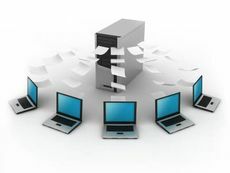 Data processing is the analysis and organization of data by the repeated use of one or more computer programs. Transaction processing is used to access and update the databases when users need to immediately view or add information.